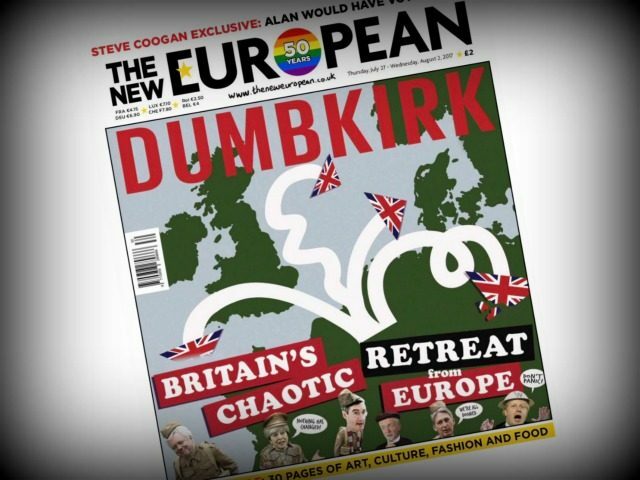 The New European has attacked Breitbart London Editor in Chief Raheem Kassam’s new book, sneering at the author and suggesting the existence of a No Go Zones in the West is a fantasy. The paper was launched in reaction to the British people’s vote to leave the European Union (EU) in June 2016, providing a platform for establishment Remainers to attack Brexit and those who express concern at the impact of mass immigration. The satirical take on the new book frames Mr Kassam’s reporting on immigrant ghettos as fiction, comparing the book to the novels of Dan Brown. “Can’t wait for Dan Brown’s new book Origin to come out? Looking for another tale in which a brave, brainy hero races around the globe unlocking the deadly secrets of a secretive world?” the paper asks its readers. “With a plot in which, as the blurb explains, ‘a courageous reporter… takes us where few journalists have dared to tread… revealing areas that Western governments do not want to admit exist’? “Ooh, like Area 51 then? Not quite, for this is No Go Zones by failed UKIP leadership candidate turned ‘courageous reporter’ Kassam and the travelogue takes in areas like San Bernardino, California (billed by Kassam as ‘a No Go Zone of the mind’, whatever the hell that is), Malmo, Sweden and ‘the heart of London, England – where infidels are unwelcome, Islamic law is king, and extremism grows. “Curiously, Raheem’s publishers have erroneously listed No Go Zones as non-fiction”, the piece finishes. 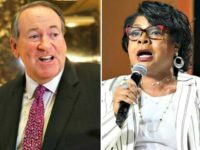 Despite the sardonic remarks in the column, Kassam’s forthcoming book, being published by Regnery and due to be released on August 14th on Amazon, as well as through Barnes and Noble, Books-a-Million, and iBooks/iTunes, has whipped up a social media storm. As reported earlier in the week, the forthcoming title had fit a number of bestseller lists on Amazon.com including terrorism where it took the top two spots with the hardcover and eBook editions, #1 in political radicalism, and #1 in Islamic law. The book also hit Amazon’s Movers & Shakers list, which according to the global retailer is a summary of “Our biggest gainers in sales rank over the past 24 hours”. The New European, for which former prime minister Tony Blair’s old spin doctor Alastair Campbell acts as editor-at-large, hosts articles by anti-Brexit agitators such as businessman Sir Richard Branson, former Liberal Democrat leader Nick Clegg, and Labour MP David Lammy. In April, the publication accidentally emailed out plans to “stir up controversy” in the town of Skegness, which voted heavily for Brexit.